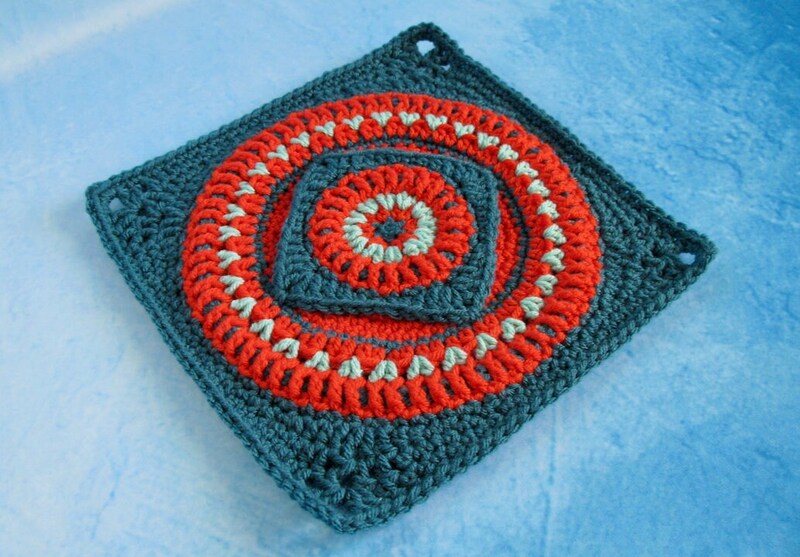 Distinctive wrapped circles make this crocheted square exceptionally unique. 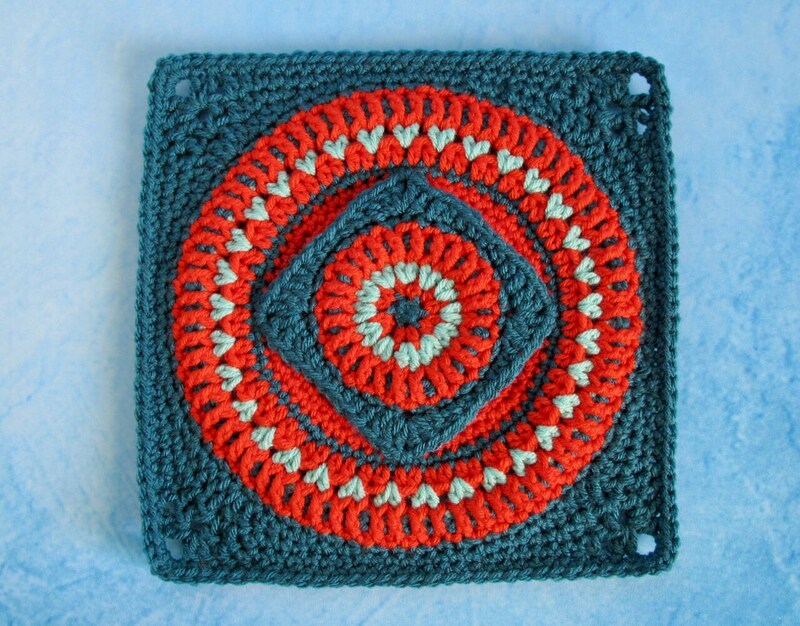 As you crochet, you will turn a circle into a square and then turn that square back into a circle and so on. You are actually getting four patterns in one, two circles and two squares. 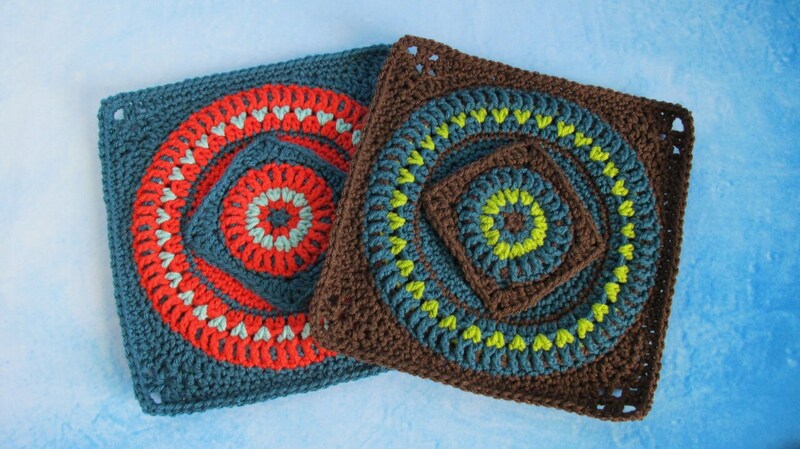 This offers incredible versatility as you crochet: pillows, purses, blankets, wearables, any project that utilizes circles and squares. I hope you will enjoy designing and getting All Wrapped Up in Circles & Squares! This pattern includes 20 helpful pictures! 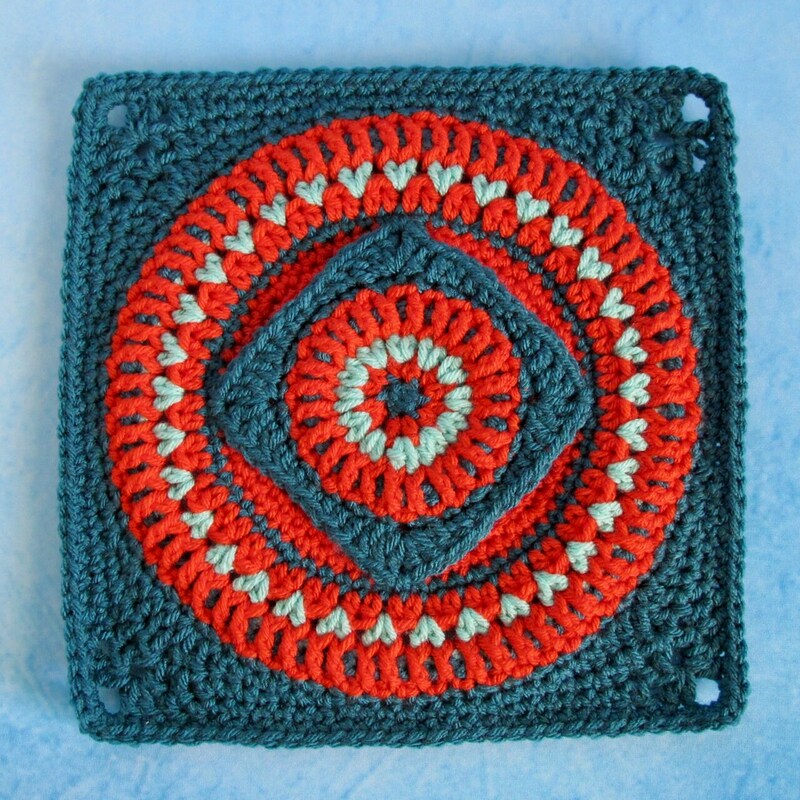 Using Worsted Weight  and an H/8 5.0mm Hook, the completed Large Square will measure 10”, the Large Circle 9” in diameter, Small Square 4.5”, Small Circle 3.5” in diameter. 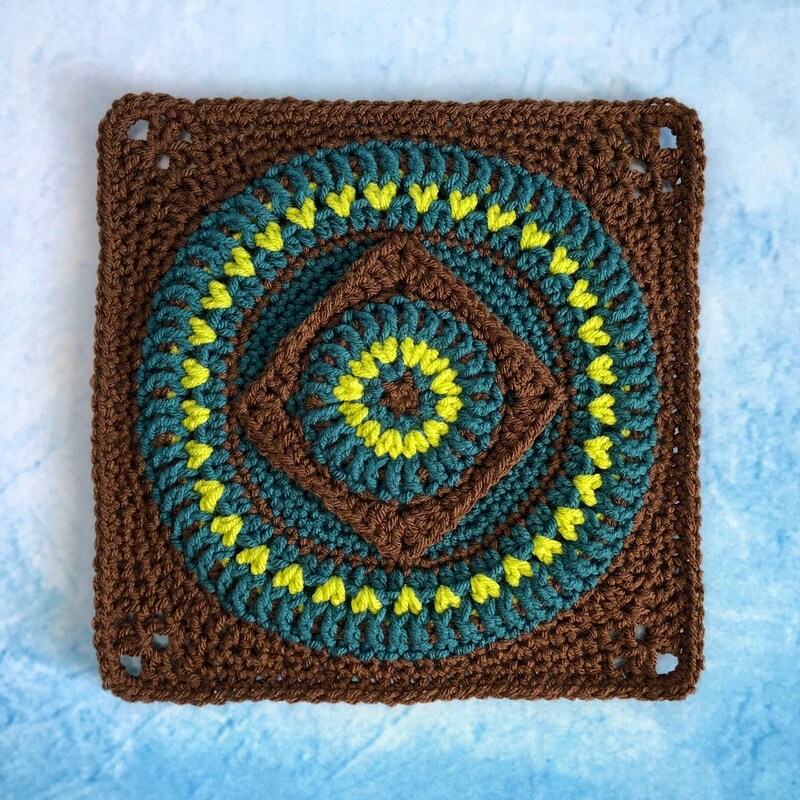 Using DK  weight yarn and a G/6 4.5mm Hook, the completed Large Square will measure 8”, the Large Circle 7” in diameter, Small Square 3.5”, Small Circle 2.5” in diameter. You will receive 4 digital downloads: The All Wrapped Up in Circles & Squares Crochet Pattern , an Abbreviations Master List, and a Specialty Stitch Guide. As a special bonus, you will also receive a tutorial for crocheting an Invisible Finish Off. This is a technique used in the pattern that creates a seamless finish when working in rounds. This purchase is for the The All Wrapped Up in Circles & Squares Crochet Pattern only. It does not come with the squares pictured here. This pattern is copyrighted and for your personal use only. The All Wrapped Up in Circles & Squares Pattern may be made and given as a gift, but the pattern may not be reproduced for use by others.